This month the Overseas Development Institute (ODI) released a report detailing ten factors that can either enable or constrain women’s economic empowerment. Drawing on data from the Gallup World Poll—which covers 99 percent of the world’s population age fifteen years or older—the report analyzes how these complex and interacting factors can inform policy solutions to advance women’s economic empowerment. The report signals an important transition from previous studies on women’s economic empowerment—navigating from the question of why policy should support women’s economic empowerment to how it can do so. In defining women’s economic empowerment, ODI notes that it is "concerned not just with increases in women’s access to income and assets, but also with control over them and how they use that control in other aspects of life." In other words, how does economic participation change their lives? To answer this question, the ODI breaks its ten factors into two categories: direct and underlying factors. 4. And gender norms and discriminatory social norms. First, the report notes, policy should focus on keeping girls in school by providing measures for safe transportation to school and increasing recruitment of female teachers. Likewise, initiatives can be developed for older women that combine vocational training and life skills such as the ability to manage challenges and advocate for their rights. While many countries have neared parity at the primary level, significant gaps in secondary schooling remain, despite evidence that an additional year of secondary school later raises girls’ wages by 15 to 25 percent. Second, legal restrictions to women’s formal employment should be removed; informal workers should be legally recognized and protected; and female entrepreneurs should have increased access to financial services that often remain out of reach. 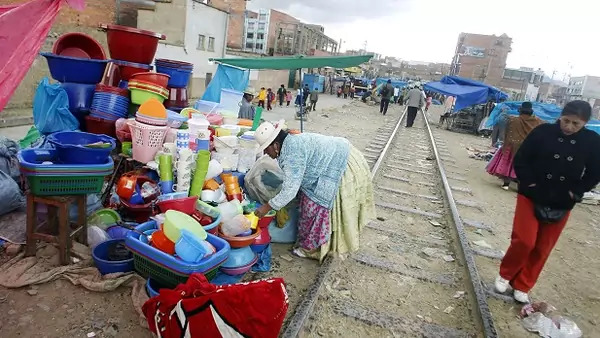 While these measures could help all workers, they are particularly important for women who are overrepresented in the informal economy. Third, employers and governments should strive for the "recognition, reduction, and redistribution" of care work, instituting better parental leave and breastfeeding policies, as well as affordable childcare options. Importantly, these benefits should extend to informal workers as well. Such policies could help transform ingrained cultural attitudes about a woman’s ability to work and raise her family simultaneously. Fourth, legislation should affirm equal property and asset ownership rights for men and women. As noted in the report, only 15 percent of agricultural landholders in Sub-Saharan Africa are women—and land held by women is often smaller than that held by men. Likewise, measures should be taken to ensure women’s financial inclusion by increasing economic services and training. Fifth, initiatives should support women’s collective action and leadership, enabling women to challenge current power structures. In lending such support, government programs should be implemented through a gender-sensitive lens. Donors and other partners can ally themselves with women’s groups to grow their legitimacy. Sixth, protections that address women’s specific needs—legal protections for parental leave, unemployment benefits, childcare support, and social pension programs among others—should be implemented. Of note, however, the ODI report cautions: "social protection is most effective as part of a broader package of long-term investment...It is not a standalone measure, and it cannot compensate for inadequate macroeconomic, labor or industrial policies that underpin women’s economic marginalization and (dis)empowerment." Seventh, as women are overrepresented in the least profitable occupations in 142 countries, labor and economic policies should prohibit workplace discrimination and support women in decent work. Eighth, fiscal policy should seek to reduce taxes that disproportionately burden women and participate in "rigorous gender-responsive budgeting to inform policy and spending decisions." Ninth, the report encourages ratification of ILO Convention 189 to ensure protections related to pay, hours, health, and insurance for domestic workers. To date, only twenty-two countries have ratified the Convention. Likewise, broader legal reforms should be implemented including revision of family codes to permit women to work outside the home, and laws protecting migrants from exploitation and abuse. Lastly, efforts should be undertaken to reform discriminatory gender norms. ODI suggests involving formal institutions, such as religious organizations.and garnering the support of men to change prevailing attitudes toward women and girls. The comprehensive policy recommendations stemming from ODI’s ten factors have the potential to transform women’s role in the economy and in society more broadly. As the ODI report concludes, "Achieving women’s economic empowerment involves more than isolated technical interventions; it is an inherently political process requiring challenges to established norms, structures, and sites of power."